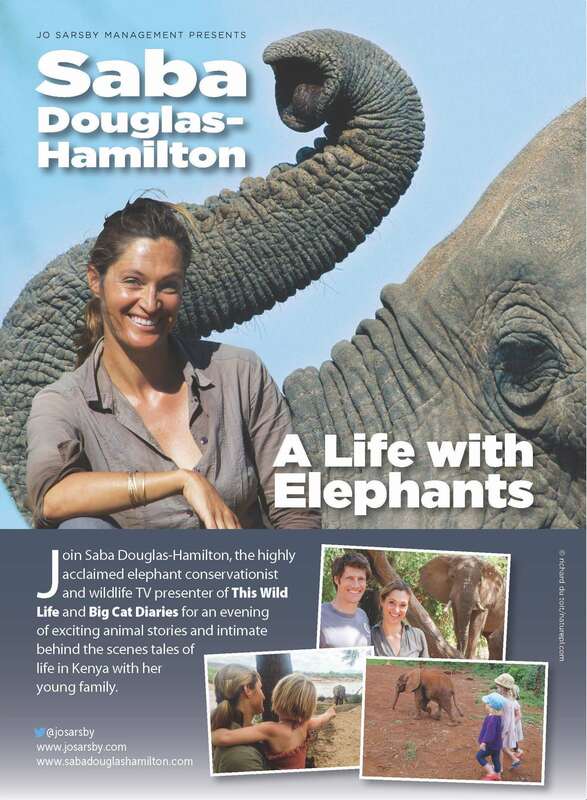 Join me this April for A LIFE WITH ELEPHANTS in theatres across the country! Spread the word, invite your friends and I hope to see you soon! Links for tickets below! Apr 1st – Worthing, Connaught Theatre 01903 206 206 – a WONDERFUL evening despite a few technical hiccups! Thanks everyone for coming! Apr 2nd – Wimborne, Tivoli 01202 885566 – Such fun to meet you all! And great to see your passion for wildlife! Am humbled and most grateful. Apr 3rd – Frome, Cheese and Grain 01373 455 420 Fabulous evening in Frome! SO wonderful to see old friends and new! Apr 4th – Cheltenham, Pittville Pump Room 0844 5762210 A spectacular venue and sold out show! What an evening! Thanks!! Apr 5th – Leeds, City Varieties 0113 243 0808 Have never been to Leeds before and have loved it! Full of music and so lively. A great little theatre and charming audience. Thanks so much everyone for coming. Apr 6th – Lincoln Theatre Royal 01522 519999 A wonderful evening and close to full house! Thank you! Apr 7th – Wellingborough, Castle Theatre 01933 270 007 Such fun to see my cousins, and and meet you all. Another good one! Apr 8th – London, Union Chapel 020 7734 8932 What an event! What a venue! The magnificence of elephants lit up in the golden light, and song of the biosphere echoing off the dome. I’ll never forget. Thank you all for making it SUCH a special evening! Apr 9th – Bury St Edmunds, The Apex 01284 758000 Wow! A full house and so many donations this evening for Save the Elephants. Thanks for the LOVE – friends of the wild – it’s SO appreciated. We’ll announce how much we’ve raised at the end of the tour. Apr 10th – Norwich, Playhouse 01603 598 598 A lovely cosy venue stuffed to the brim! LOVED meeting you all. Excellent evening. Thank you! Apr 13th – Buxton, Pavilion Arts Centre 01298 72190 SOLD OUT!! Apr 18th – Banchory, The Barn 01330 825431 SOLD OUT! Great news! AND you have a re-run-fest coming up on the Eden Channel on the 3rd/4th of Feb!!! I’m sorry. I came there last time – was in Swansea and Newport. saba would you please consider coming over to belfast or dublin on a future lecture tour? i’m a huge fan and would love to hear you speak in person. i was born and dragged up in kenya and remember vividly going to see your parents’ film about the elephants with my dad in nairobi about 1976, having not too long previously been brought to see the numberless tuskless and rotting poached elephant carcasses scattered throughout tsavo, the awful images have never left me. and when can we expect a second series of this wild life and catch up once more with your delightful family and staff? would you ever consider coming over to belfast or dublin on a future lecture tour please? i greatly enjoy your tv work and would love to hear you speak in person. i was born and dragged up in kenya and remember vividly going to see your parents’ film about the elephants with my dad in nairobi about 1976, having not too long previously been taken to see the countless tuskless and rotting poached elephant carcasses scattered throughout tsavo. and can we ever expect a second series of this wild life and thus a catch up with your delightful family and staff?